Count this as another article I’ve been meaning to write for a long time. It’s a little late considering the whole Samsung Galaxy Note explosion thing seems like ten years ago. 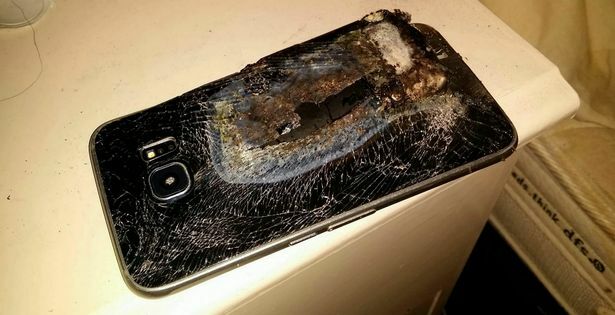 So yes, we all know that Samsung’s latest Galaxy Note has an unfortunate tendency to overcharge, catching fire or exploding. We know that Samsung couldn’t fix the problem even by replacing people’s devices, and they eventually gave up and pulled all of them from shelves. The real culprit here is the consumer. The phones explode because we want phones that come close to exploding every time we use them or charge them. That’s what we’re asking for, and manufacturers have happily responded. Wait, you say, you didn’t ask for a phone that exploded? Sure you did. You want a phone that charges fast? That means shoving as much current as possible into the battery, as quickly as possible. You want a phone that can surf the internet, play videos, get GPS data, and even take calls? This means that the battery has to discharge pretty quickly too. That means a lot of current coming out of it as quickly as possible. When you’re putting a lot of current from one place to another, you have to design the whole system to take that current. Otherwise what you’re creating is a miniature lightning strike. That current encounters excessive resistance and energy is converted to heat. As components heat, they expand… but since you wanted phones that are tough enough to take a drop, the outside of your phone won’t expand. Heat buildup plus excess energy plus pressure buildup due to strong outer components means… an explosion. As if that weren’t enough, you wanted inductive charging. You love putting your phone on a mat that lets it charge without wires. Inductive charging is great but even in the millimeter or so between the two coils that make up an inductive charging system, there’s current loss. So, you need to shove even more current out there, and once again heat builds up. I know, it’s not really fair to blame “us,” the cell-phone-using community, for exploding phones. But we did demand leading-edge technology in something the size of a folded napkin. Maybe we didn’t know what that would take, but that’s what we asked for. And yet, we blamed Samsung for giving that to us because they pushed it just a little too far. Now, Samsung’s testing should have found the flaw, but they were in a rush to get the device into our hands. So who, then is to blame? Blame the laws of physics which annoyingly refuse to change when we want something that physics doesn’t allow. Blame researchers who have stubbornly been unable to create magic batteries the size of nickels that can power a phone for a month. Blame poor testing procedures. Blame the government, they’re always up for blame. But the fault, dear Brutus, is not in our phones but in ourselves. We can’t blame anyone else for our phone addiction and the way we crave something newer and better almost everyday. Sometimes, literally, it blows up in our faces. How long should a consumer cell booster last?